One day, shortly after my son was born, my 2 ½ year-old-daughter asked me to smile, and launched into a heartbreaking Vaudevillian song and dance to get me to laugh. She literally asked me to be happy, which of course made me cry. And then she repeated the same thing daily for weeks. It was my first clue that something was seriously wrong. What did my daughter see? How could she tell that I wasn’t happy? I didn’t know I was clinically depressed, I just thought I was sleep-deprived, and if I could only get some sleep, I would feel better. I was able to get out of bed and go to the office every day, and I was sort of able to function, but it got increasingly worse. I became a chronic insomniac. I became dependent on sleeping aids. My fuse got shorter and shorter. I slept an average of 8-10 hours per week, in 15-45 minute midnight naps, regardless of how many sleep remedies I took. I was brain-dead at work, a mess when I came home, and pretty much an empty shell of a woman. It was a long, hard, lonely road to get out of this mess, but I did it. I got help. I accepted support. My husband didn’t leave me. 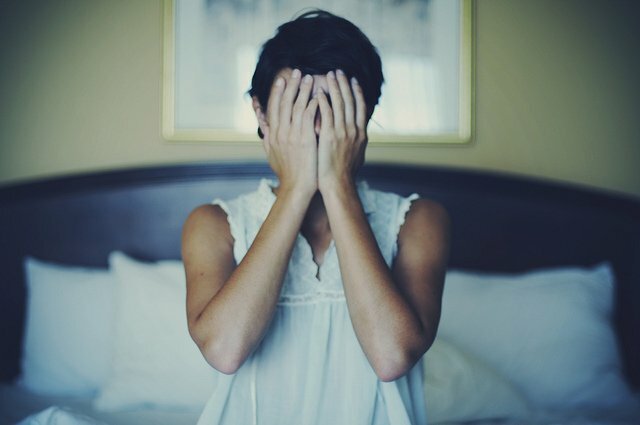 I took medication with shame, and it worked. Some days I forced myself to go jogging in the rain, sobbing. Other days, I gave myself permission to take time out of my workday to get acupuncture. Eventually, I started sleeping and functioning. Then I started to smile, and found myself laughing and playing with my kids. It took a few years to fully climb out of this hole, but through small, consistent and persistent actions, I did it. I quit my job. I lost 30 pounds. I devoted my life to serving families in crisis. I’m now living life on my terms, working my own hours and more able to enjoy quality time with my family. Though it’s not perfect, and I’m still a chronic insomniac (!! ), I can now say with confidence, that I have arrived at my destination. I am happy, and my whole family feels it. But here’s the main takeaway I’d like to share: Whether you’re clinically depressed, depleted by sleep-deprivation, or simply not content with something in your life, you can change. Don’t wait as long as I did. Get support if you need it. Your kids want you to be happy, and so do you. PreviousThe Oxygen Mask & Motherhood: Self-Care Tips for MomsNext Will You Ever Sleep Again?